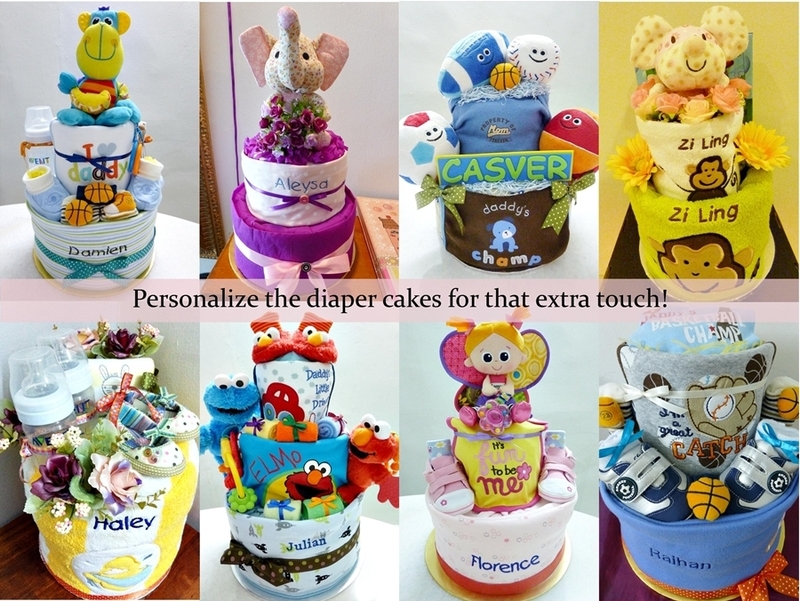 Babypoppits - Baby diaper cakes, towel cakes and personalized gifts from the heart, for the heart. Welcome to our website!! Babypoppits is managed by two engineers. Yes, we predominantly have better control of the left brain over the right brain but we thought we would come together and exercise our artistic abilities, so here we are! Have you been invited to a baby shower, full moon party or a kid's birthday and do not know what to give? We at Babypoppits have a great range of gifts to solve your problem. They are creative, unique and the items are actually useful. 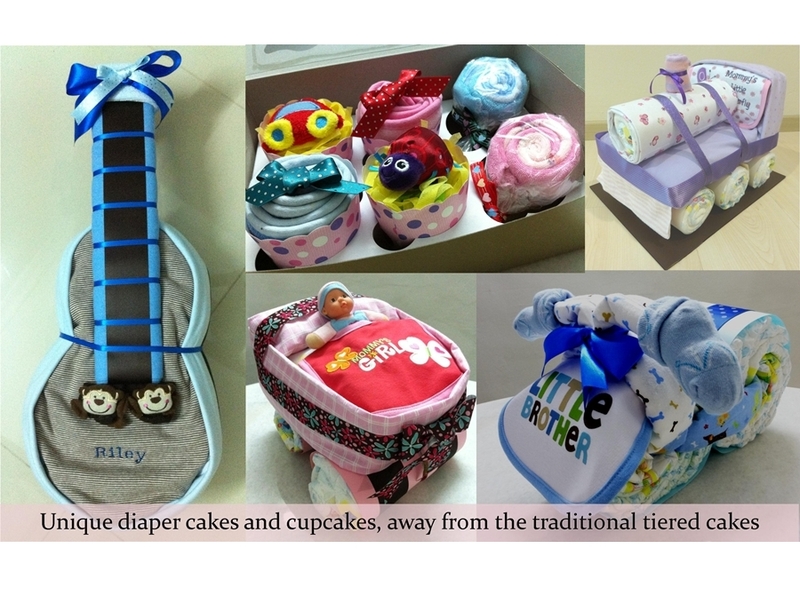 Check out our diaper cakes which comes in different number of tiers. What is a diaper cake, you ask? This cake is inedible, i.e. won't be served to guests for dessert as it is entirely made up of disposable baby diapers and other baby/kids products. 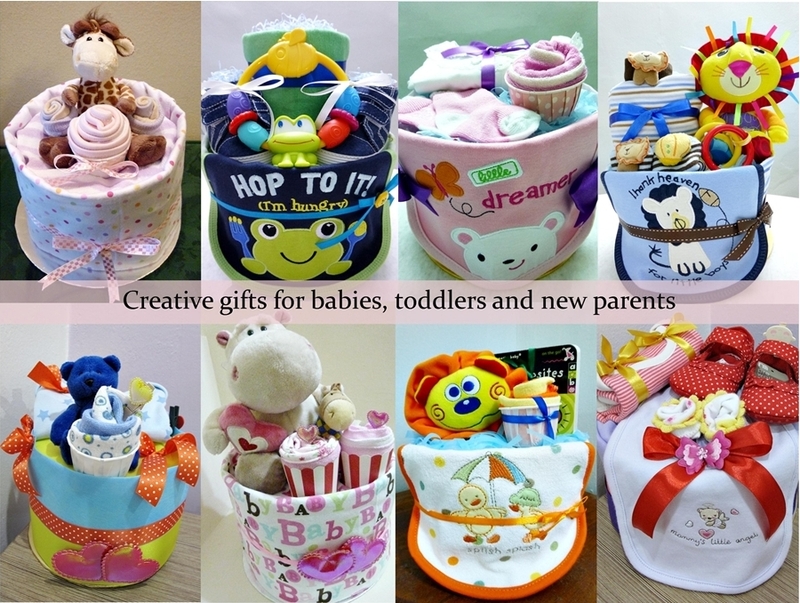 We publish all 'ingredients' of our diaper cakes so that you know what you are paying for. It will do double duty as a cute centerpiece and a very practical gift. All the gifts here are personally arranged so feel free to email us if you have specific items you want in your gifts or even colour preference, basically we will try to accommodate to all your whims and fancies. Items are gift wrapped at no extra cost and if you are delivering within Peninsular Malaysia, SHIPPING ARE ON US! Babypoppits comes up with new things every now and then, so get registered as a customer and you will receive monthly newsletter updates via email. So do click on and if you have any enquiries with regards to our online shop, email us at enquiry@babypoppits.com .